Although the entire Woodstock 50 lineup is still under wraps, Billboard reports that The Killers, Chance the Rapper, Imagine Dragons, Dead & Company, and original Woodstock performers Santana are among the artists set to perform at the three-day music and arts festival set to take place in Watkins Glen, New York on August 16-18. The lineup was partially revealed amid news that several of the festival’s big names have been paid in full, following rumors that the production was in financial trouble. According to Billboard, talent agencies have required that artists be paid upfront prior to the lineup announcement because the festival isn’t produced by a major promoter, such as Live Nation. When Lang first confirmed in January that Woodstock 50 was taking place, he told Rolling Stone that concert goers can expect an “eclectic bill” that will feature “hip-hop and rock and some pop and some of the legacy bands from the original festival.” Lang also promised that current artists would stage a “celebrations of artists from the original Woodstock,” but didn’t elaborate on what that might entail. Woodstock 50 is one of two Woodstock 50th anniversary events planned for the same weekend. 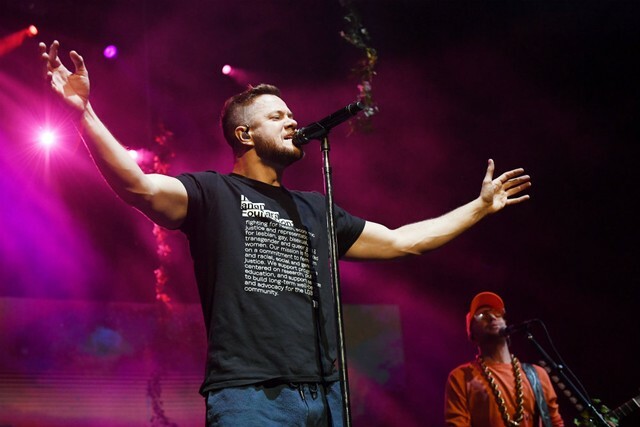 The Bethel Woods Center for the Arts is hosting a smaller three-day festival taking place 90 minutes away from Woodstock 50 on the concert’s original grounds in Bethel, New York. Correction: Spin originally referred to Watkins Glen as “Glen Watkins” and have since corrected the error.